Still have an E-420 and an E-520, a couple of kit lenses and the 25mm pancake. They work like new, but I don't use them much any more. I now prefer Micro 4/3rds for my small interchangeable-lens cameras. ...also want to call out the fantastic 50mm macro, 40-150mm, and 14-54mm and 12-60mm lenses for their great qualities and resolution! Excellent lenses for reasonable money! C-5050, C-8080, E-330, E-3 (one of my favorite cameras ever)....my first (near) decade of digital photography, and the cameras that got me back into photography, improved my photography, got me to finally find out what photography meant to my overall art practice. A gigantic impact on me. Left them for FF (Sony) and then Pentax (DMF & FF). 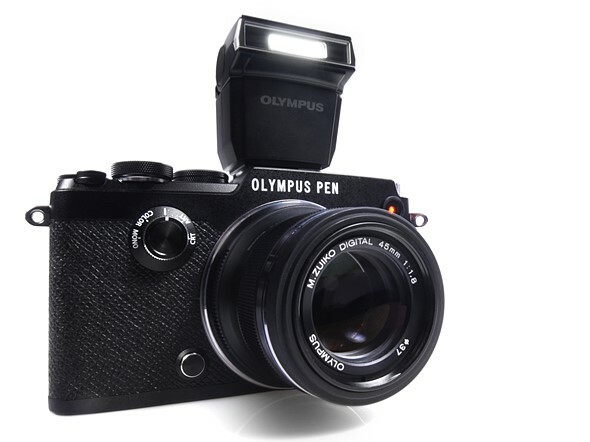 But I'll forever be indebted to the innovative thinking of Olympus, often little credited or even maligned. The E-620 was and continues to be my favorite 43 model. The camera when paired with the 12-60mm, 50-200mm, or 50mm lenses came closer to realizing the potential of 43 in terms of price, size and capability than the SHG lenses on an E-5. Many here rightfully comment on the SHG lenses and their quality, but for me the High Grade line of lenses struck the balance between quality, weather resistance, size and price far better than the SHG lenses. They are large compared to most m43 lenses today, but not for their time. 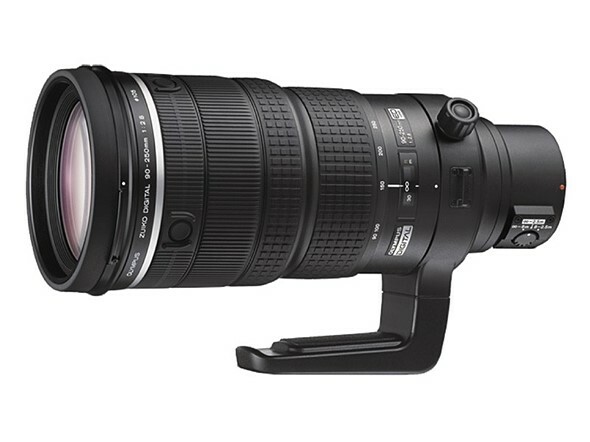 The 50-200mm has not been replaced. Olympus offered nice underwater housings and ports for the E-330, E-510 and E-620 models that added additional capabilities. These were priced competitively with other similar systems (Ikelite). The E-620 had illuminated buttons... I still don't understand, why none of the current cameras has this really usefull feature. It was a great modern system... since it was my entrance to photografie I was really surprised finding out a few years later, that other market-leading cameras where not able to firmware-update their lenses through the body, or to micro-adjust focus per lens and focus-point. The illuminated buttons are nice. I still use the camera regularly. My E-500/14-54 was good enough for many things ... still works. Thanks Oly! Still own my first E-500, which now has a monochrome sensor in it ;). My first proper digital camera. I had a pair and loved them dearly. I would also think that embracing and promoting IBIS as a fundamental feature of their DSLR's would have been part of the Olympus 4/3 legacy worth mentioning. Especially when we see how IBIS has caught on today across the various manufacturers. It was one of the big reasons my first DSLR was an e-520, and why my first APS-C camera was a Pentax. I hated giving up the E-330 for the E-510, but, with telephoto being very important for me, I just couldn't ignore the new sensor-based stabilization. It was the first and only occasion on my voyage through Four Thirds and Micro Four Thirds on which the progress a new camera offered came with a substantial setback: no live view with fast phase-detection AF anymore, no tilting display anymore. Konica Minolta beat Olympus to the introduction of IBIS and its use continues in the latest Sony's, so credit has to go elsewhere on that one, I'm afraid. While it's true Olympus did not invent IBIS, they were certainly an early adopter and big promoter of it. And it seems like throughout the years Olympus's implementation has drawn particular praise, more so than Sony's or Pentax's own capable IBIS systems. So in my mind, at least, IBIS was one of the distinguishing characteristics of Olympus 4/3 DSLR's. The small bodies combined with lenses that did not require the size/weight of stabilization systems made it the most portable interchangeable lens camera system of the time. I'd add that with Konica/Minolta bowing out early, best-in-industry IBIS became a mainstay feature associated with Olympus DSLR's, along with SSW dust removal (I never had to clean a sensor in my two Olympus DSLR's), rich "Olympus JPEG colors" and a well-thought out 3-tiered lens system (SG, HG and SHG), all of high quality build and optics for their class. It was small body size combined with comparatively small SG and HG lenses, quality build, IBIS, SSW and Olympus colors that brought me into the Olympus fold almost 10 years ago with their E510 and then E-620. While the E-620 seemingly put it all together with a 3" flip screen, improved OVF and 12MP sensor (good for the day) in a value priced small body, the E-510 took sharper pictures with beautiful OOC colors, had better ergonomics due to its grip (compare it to the E-M1: near identical form, grip, size and weight) and more solid feeling build. Unfortunately it was prone to blown highlights. When the E-620 and E-30 came out (for some time, I used both), I was happy to see that the JPEG engine was back to what I had come to like in earlier models, before the E-510. It didn't make me switch back to shoot OOC-JPEG, though. Good point about the build quality. I remembered when I was looking to upgrade from my e-510, I tried the Canon Rebel t2i but it felt like a toy compared to the solid feel of the Olympus. I eventually settled on Pentax since their DSLR's were most similar to Olympus in terms of build/handling and getting more features for your money. And, of course, IBIS. Officially, there still are four Panasonic Four Thirds lenses. They're not labelled as discontinued yet, and sometimes, even if only rarely, new ones are still to be found on eBay these days, mostly from Japan. As far as I know Panasonic never made a public statement about the end of 43 but they weren't as involved as Olympus was anyway. So Olympus settled on the 4/3 sensor size ( how exactly ? ) and designed the lenses accordingly . I have often wondered if it wasn't the other way around , like they determined how to manufacture lenses so as to get the best result possible and then came up with the sensor size that would match . Unlike the dominating 16:9 ratio of computer screens today, at the time of the 4/3 inception, 4:3 ratio was the norm of computer screens. Being also a popular photo paper format, the 4:3 ratio was the logical choice for Olympus, or anyone else looking to build a digital system from ground up, since it required no clipping on neither the digital nor paper display. Now the evolution to 16:9 screens which favored the traditional 3:2 dslr picture ratio was beyond the photographic industry. Also remember.... Olympus did NOT have to design a digital system to help market their already designed AF film lenses like Canon, Nikon and Pentax did. Because they had none. (Well, OK, they had a few fairly mediocre film lenses for the OM-AF77). Back in 2003, digital sensors were pretty expensive things. That was around the time that an entry level Canon 300D cost $1,000. So using a smaller sensor made economic sense and gave Olympus a cost advantage. So Olympus had the luxury of designing their new system from the ground up. This cut both ways.... because it also meant APSC had a pretty big quality advantage until around 2012, when sensor technology improved enough and the Sony 16MP four thirds sensor make M4/3 very competitive with APSC. agreee Portraits in 3:2 look ridiculous. Great cameras, just a little too expensive to be popular. And softly killed by the habit of comparing iso 1600 on 4/3 to iso 1600 on FF or APS-c and (wrongly) concluding that the sensor 'should be improved'. Why wouldn't they compare it and draw conclusions about it? cameras in the same price bracket or class are going to be compared, that's a reality. Besides if it weren't for those comparisons the features, technology and improvements done in M4/3 wouldn't be so advanced as they are today. Tech is pushed to its limits thanks to how companies compete to offer better products! It makes sense to compare base iso, but much less sense to compare higher iso : the need of turning up iso is typically lower on a camera with smaller sensor. One will often find onself shooting one or two stops lower iso on camera's with half or quarter sensor size, because the same light gets concentrated on a smaller sensor. The 4/3 sensors were very good for there size and deserv(ed) a more fair comparison. This is actually why I started writing about equivalence back then. so you are saying that iso 100 on an iPhone is equal to a much higher iso number on a 5D mark IV?? hmm what did i miss? Should i sell my large sensor cameras and switch to tiny sensor cellphones when shooting in low light? Four Thirds ISO 1600 wasn't *wrongly* compared to anything, if you care more for what comes out of a camera (images) than what is hidden inside a camera (a sensor with some size). While I did use a Four Thirds sensor back then and still do with my OM-Ds today, I still compare ISO 1600 *rightly* between my OM-D and something else when I'm out to buy a compact camera, which is why a 1/2.33" sensor is still not an option, and a 1" or maybe 1/1.7" could be one, because the high ISO disadvantage is not *that* huge. Oh, and more than that, the situation wasn't just that the Four Thirds DSLRs simply produced more noise according to how smaller the sensor was. No, they had much less high ISO image quality than the difference in sensor size would account for, which was clear with each and every comparison especially between APS-C cameras of the same time. The sensor size difference would only have explained a high ISO performance difference of about 1/2 stop, less than 2/3 stops, while the real-world disadvantage of Four Thirds cameras was mostly much more severe. The reason was that the sensors Olympus and Panasonic could get their hands on back then (or manufacture themselves, in case of Panasonic) were worse than their competition even with the smaller sensor size considered, and *that* was the reason that gave the Four Thirds format an unnecessarily bad name. *Not* the allegedly stupid Four Thirds critics, who rightfully assessed what they saw. I didn't say wrongly compared, but wrongly concluded. Seeing a camera as a black box where the output is the only thing that counts is exacly one of the reasonings supporting the use of equivalent settings (whenever possible) when comparing camera systems. The f-ratio of a lens is light per unit area, so a smaller sensor gets less light at the same f-stop. If you use 2=stop faster lenses you get the same light as FF, more than 2 stops faster and you get more light. @pidera: "Equivalent settings", yes – but if ISO 1600 with a Four Thirds DSLR still comes out worse than ISO 2500 or even ISO 3200 on a comparable APS-C DSLR, which is what mostly used to be the case, the Four Thirds camera's performance is rightly being judged as inferior no matter how you look at it. I'm glad, though, that starting with the later generation of 16 MP sensors Micro Four Thirds could eventually settle the score, with differences within formats having become bigger than the general expectable difference between Micro Four Thirds and APS-C. Lately, in some cases, Micro Four Thirds sensors actually delivered *better* high ISO performance than Canon's APS-C sensors! If, in their time, with regard to high ISO performance, Four Thirds DSLRs had been as close to APS-C DSLRs as they would if Four Thirds sensors would have been on the same techological level, Four Thirds DSLRs would have been much more attractive than they were. They even might still be around today. @Robert you could be right about sensors being worse even when comparing at equivalent settings even though it's not how exactly how I recall it. I remember the Kodak sensors were given a lot of credit (except for noise). Olympus lanched the 4/3 sensor as a large sensor, but with APS-C (and later FF) being available and mass-marketed (Canon 300d, Nikon 70d) they were continuously playing catch-up. I think they should have put a 8MP sensor in a E-1 successor as soon as possible ; it never happened. They lost the mid/high end market and fighting canikon on the budget market was a fight uphill. @ Dr_Jon one doesn't even need 2 stop faster lenses as long as can select a 2 stops faster f-stop (which can be an issue depending on the type of shooting ; not in my case as I mainly do landscapes ; sports concert and portarits is something elso of course). @ Vanitas when performing same iso comparisons (for similarly advanced sensor tech) the large sensor image wins each time, nothing to learn from that, so why even bother making the comparison. The most interesting comparison which really shows the performance of the sensor tech is when levelling the field and providing each sensor with the same quantity of light. If anything, this would push technolgy more forward than comparisons with predictable outcome..
pidera: because they compete in the same market and price bracket, as simple as that, there's no need to put a brand to the side because outside this forum Olympus share space with Canon, Nikon, Sony, Pentax, etc. in the stores where they can be bought. By not asking them to be up to their peers and to improve their game to match what other brands offer Olympus wouldn't have an Olympus OMD 10 mark II or the Panasonic GH5 wouldn't be the camera that is today. Again comparisons between cameras in reviews is what has driven the innovation you see today in m4/3 cameras, innovations you enjoy. So you should welcome this critique, as it is the reason you have the cameras Olympus and Panasonic have released in the market recently. @ Vanitas : I understand your claim (and who knows, it might even be true) but I for one believe that 'right' (for the intended purpose, that is actually using a camera in the field) conclusions from comparisons are no hindrance to development. And so yes base iso 100 f/2.8 on 8x crop is equivalent to iso 6400 f/22 on FF which is just an extreme case of the general rule that smaller sensors have a more limited ‘performance envelope’. So indeed the extremes can be compared for fun or out of curiosity but the practical choices to be made typically only concern nearest neighbours (like when choosing to go somewhere on foot, by bike, by car, by train or by plane). If the ‘performance envelope’ (which depends on the sensor size) of the camera is ok for a specific purpose, the exact sensor size doesn’t matter all to much. actually the olympus pro lenses are superior to those, at least the 40-150 f2.8 is superior to the 150 f2 in every way, except of the one stop less light, same with the 300 f4 vs the 300 f2.8. Wow, were they really still making 4/3 lenses up till now so long after the last 4/3 camera (E-5) was produced? That's customer service taken to extreme. Anyway, I still have an E-450. Not a great camera by any means. I got it more or less because it was touted as the smallest DSLR ever built. I don't know if that was actually true then, Oly is prone to exaggeration, or still true now but I'm hanging on to it. With the 25mm pancake and the reverse cone lens hood, it can probably pass as the largest sensor compact ever made. Bob... I seriously doubt there was a single four thirds lens made after 2010. Perhaps a few made from left over parts, but most sold as new were just "new old stock" that was languishing in inventory. In fact, those $7,000 300mm and 90-250mm SHG lenses were either built to order or built in extremely small batches since so few were sold even at the system's height in 2006. With the market flooded with cheap kit lenses selling for next to nothing, and high end lenses selling for 30% of their original price, there is absolutely no incentive to make more lenses. Other than using up parts that already exist in inventory. Here's to the E-1. The most ergonomically-friendly, most weatherproof, toughest DSLR body ever. P.S; former employees of the Brit mag Amateur Photographer HATED 4/3rds. P.P.S; watch prices for SHG lenses jump on Ebay. I still frequently use my E-1. Fab camera, love using it. An innovation, no matter how attractive, will not last without a consumer following. Money dictates the lifespan of a product. Purchaser's money. Sales. There are just so many options in today's age. Somebody has just got to give. Why haven't you bought it? I lusted after it too, for around a decade. Then I got lucky and a friend gave me one, mint and boxed but without the matched lens. Then I got super lucky and bought an E620 with a collection of lenses, including the Leica 14-50/2.8-3.5 - I sold off everything piecemeal and kept that lens plus two other little gems (25mm pancake and 35mm macro). The L1 still is beautiful, really just like when it was new. Plus the modern software means the images are miles better now than they were when it was new! They sometimes come up for sale but people seem to ask too much for them. I don't see many change hands. I still have the Leica variant, the Digilux 3, which I still use. The Leica 14-50 is a really fab lens. My Digilux 3 is one of only 13,300 made. Some of the best lenses aver were made for this system. I've been using the PL 14-50mm f/2.8-3.5 extensively both on the L1 and on assorted m4/3 cameras. It really, really shines on the E-M1, and it's still a zoom lens that it's hard to beat for depth, bokeh, colours and contrast. It's a fabulous lens! The "look" it produces is so special. The King (FT) is dead. Long live the new King (MFT)! Same sensor size approx 17x13mm. M43 is mirroless - shorter flange distance, smaller mount. Olympus often seems to get more limelight in the history of Micro-Four Thirds and mirrorless. 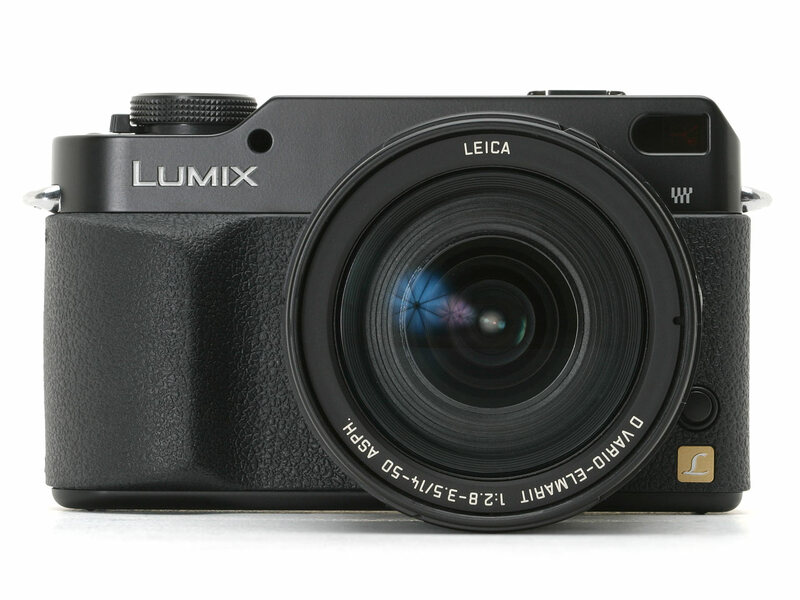 However I think the real breakthrough product was the Panasonic G1. Obviously it was the first mirrorless camera, but also it had three important features which ensured that mirrorless will be taken as a serious camera system rather than a glorified P&S. First it offered an EVF experience which was a credible alternative to OVF. The EVFs before G1 were extremely poor whereas G1 had an amazing EVF for that time. Second it had a pretty fast AF in single shot. Third it had a full set of controls expected by DSLR users. The E-P1 from Olympus didn't have any of these features. I am pretty sure that if it was the first mirrorless instead of G1, it would have been dismissed by most reviewers as a 'P&S' camera with a large sensor which did not have what it takes to meet the needs of a 'serious' photographer. G1 ensured that people viewed mirrorless as mini-DSLR, rather than big P&S. I had a G1. What an amazing camera for its time. Panasonic created the first consumer friendly mirrorless camera, but the first mirrorless still goes to Epson for their RD-1. I still have 2 G1's. Last time I checked, they are still amazing. Yeah, typical snub of Panasonic and what they did for the four thirds sensor, and Micro Four Thirds as a whole. Most of the technology came from Panasonic. Wasn't the L-1 also the first Four Thirds camera as well? @MrALLCAPS: No, it wasn't, the E-1 was. The L1 came much later and more or less was a modified E-330 that had been given to them by Olympus, without the extra sensor in the viewfinder path and without the phase-detection-AF-enabled live view mode it provided. Oh, and without another world's first the E-330 had introduced: a tiltable monitor on a DSLR. As much as Panasonic led the Micro Four Thirds development with the G1 and Olympus was very, very slow to come up with their first decent camera body (the E-M5), it more or less was Olympus alone who created Four Thirds. That said, it were two Panasonic lenses which I used most on my Four Thirds DSLRs, the longest (five years) and latest having been the E-30: the 25mm f/1.4 "Summilux D" and the 14-150mm f/3.5-5.6 "Vario Elmar D". Both of them, as excellent as they were, unfortunately gave up their ghost, otherwise I'd still be using them on my OM-Ds. 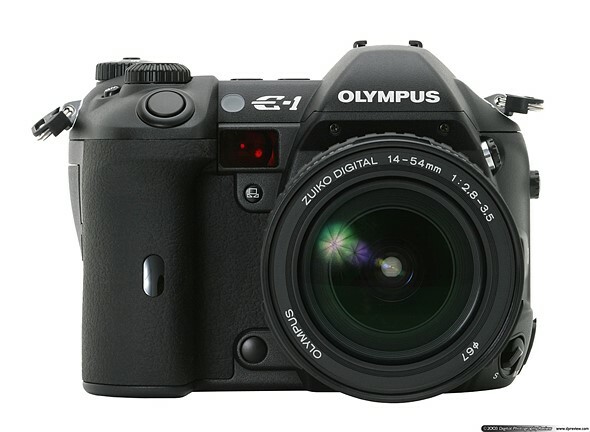 @dansclic: Yes, and that's true for all Olympus cameras, too, until the 16 MP sensor came with the E-M5. 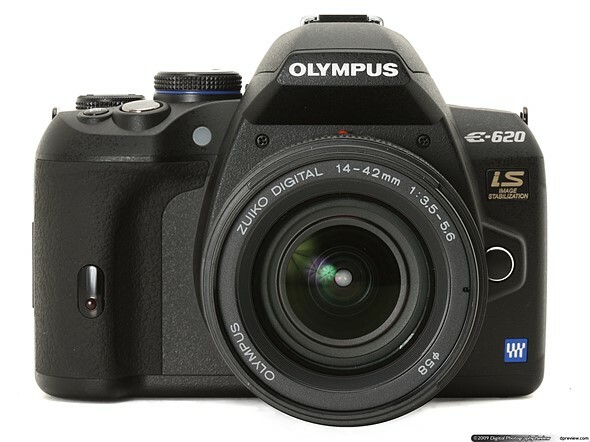 The 12 MP sensor which was used before was based on the one introduced with the E-30 and E-620 DSLRs, and it was low-end with regard to high-ISO capabilities even back then. That said, some people don't need high ISO, so why shouldn't they still use such a camera? If you look at the Leica M8, it has only 10 MP and even worse high ISO than a G1, but there are still a lot of people who think it is a good camera for some purposes. "Most of the technology came from Panasonic." Not really. Panasonic joined later, and wasn't involved in the development of Four Thirds. Kodak was, however, and they made the first few sensors, before Panasonic stepped in as supplier. And, as mentioned by Robert Schroeder, the L1 was a version of the E-330; there was also a Leica version with the same internals. Panasonic has played a more important role in MFT, of course, but to say that most of the technology comes from them doesn't really apply to Olympus' cameras (or lenses, for that matter). Olympus developed 5-axis IS, among other things, and mostly uses Sony sensors in their 16 MP and 20 MP bodies (the E-M1 being the exception, using a Panasonic sensor). Panasonic made the early 12 MP sensors, but those weren't as good as the later ones by both Panasonic and Sony. To add some clarification..... Olympus took the lead on Four Thirds. Both Panasonic DSLRS and the Leica DSLR were variants of the FOURTH Olympus Four Thirds DSLR the E330. The one that followed the E1, E300, and E330 three years later! But it was reversed with M4/3. Panasonic led the way with their G1 in Sept 2008. Olympus rapidly followed Panasonic with their first M4/3 camera the EP1 nine months later in June 2009. The timing tends to suggest that Olympus created Four Thirds mostly by itself, and M4/3 was more of a collaboration led by Panasonic. I'm not so sure that the fact that Panasonic was first to market with a MFT camera, necessarily means that they took a more leading role in the development of the MFT standard. The original announcement of MFT stated that both companies would develop products compliant with the standard, and nothing in the announcement suggested that one of the companies took a more leading role than the other. Olympus was the first to include pixel mapping as a menu function instead of a service performed at a repair depot. My 3mp Canon camera developed a 9 pixel cluster stuck as fuschia, plus many other 1 and 4 pixel clusters. The fuschia cluster was always visible even in short shutter speed daytime photos. I map my current Olympus cameras every year or two and it has never been an issue. When I first read the heading, I misread it. While Olympus just announced that it will no longer support 4/3, I was under the impression that they had withdrawn support for it long ago. I entered the m43 arena a number of years ago, and continue to pleased with my decision. Telecentric lens designs have been adopted by more manufacturers. The recent high quality primes/zooms are much larger than the earlier designs. Sigma 50mm 1.4 has 77mm Filter Thread and weighs 815g. Canon and Nikon 50mm 1.4 AF lenses have 58mm threads and weigh 281g and 290g. 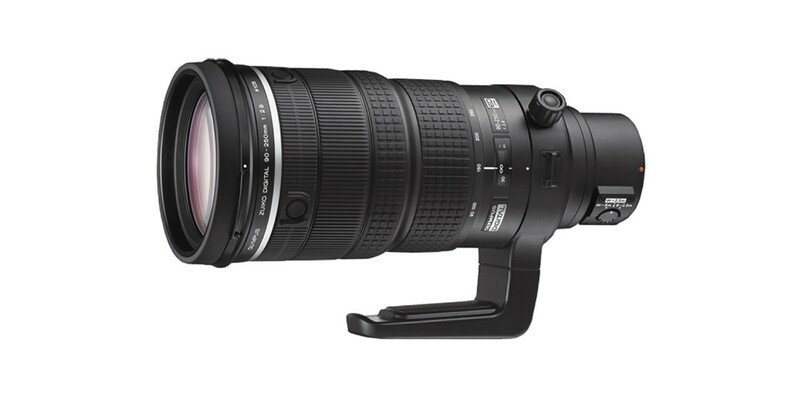 Shame that the Olympus designs were criticized when the Sigma Art lens gets the credit it deserves. It's not the same thing. Olympus had touted the 4/3 system as a compromise in having a smaller sensor but with also smaller lenses. Since they couldn't make the lenses smaller than anyone else at the time the system bombed. Sigma Art lenses are made for 35mm sensors and make no excuses for its large size. It touts IQ as its USP and it is designed for a much larger sensor. Seeing the E-1 first time was a bit of a love story it had literally a grip (*Gvipp in Loks terms) that fitted my hand as if it was made to measure. The whole button placement the weight and feel of true pro grade camera just made me have to have one..... 5 years later. That's exactly how my E20 feels. Ergonomically, they are not too far apart. FT was a beautiful system when taken as a whole....when you look at FT lenses compared to APS-C equivalents.....FT line up wins hands down for size-wt-capabilities. Wow...the nostalgia. The E-1 was my first digital camera and I will forever love it. Thank you, Olympus. Wow... I assumed that everything with the "four thirds" label on it was discontinued long ago. I guess that I could see that folks with the old camera bodies might like to buy new lenses, but even that seems like a dubious proposition as the tech is already quite old and buying new gesr fro that system is throwing good money after bad. I can see the wisdom of having those old leses work with the m4/3 system though... That's a good idea. mirrorless are a bad invention - no future. The same was said about digital cameras. DSLR sales are shrinking dramatically while Mirrorrless sales are stable. Mirrorless is going to kill DSLRs. Smaller, better in almost every way. And now with the M-1 Mark II, speed and AF are no longer issues. And try to get IBIS into a big DSLR. It can't possibly compete. Currently, the M1 Mark II's stabilization is limited by the earth's rotation. The E-M1 is amost if not a little bigger than the E-620 if I remember correctly. Yes, the E-M1 is bigger by the grip. But it's the largest body from Olympus and there is a reason for it (like handling legacy/pro lenses). Mount to back the 620 is thicker, but the protruding grip of the E-M1 make it be a slight big larger. I have both and think the better grip is more significant than the other size differences between these two. And also I think the E-M1 feels a bit smaller and it is definately more solid (the latter regardless of how I feel). None of them are bulky compared to "99%" of other DSLRs..of whatever format. Maybe the Nikon 1 series could be the exception. Seriously, they need to rebuild a OMD E-MX in hommage to the old E-1. Glad I bought a new 90-250 two days ago! Why was telecentric lens design abandoned with MFT? Was it because sensors had evolved by that point with much shallower pixel wells, microlenses etc. such that it was no longer needed, was it because the distortions induced by non-telecentric lenses could be cleaned up in software, or was it because the mirrorless design somehow made it unnecessary? It doesn't provide enough advantages to make the size trade-off worthwhile. There have also been improvements in microlens design which compensate for oblique angles of light, and software can compensate for vignetting. The smaller flange focal distance certainly does not make telecentric design any less necessary. In my opinion it is a combination: a bit of better microlenses & wells + a bit of software correction + mainly the need to offer a size advantage. BSI sensors should help reduce the advantage of (rather than need for) telecentric designs. Yes, but BSI is comparatively recent. At the time, I remember it was an issue facing all manufacturers with legacy mounts, especially Leica with their film-era wide angle lenses. Everyone wanted new "designed for digital" telecentric lenses. Afterwards you didn't hear much about it though. It wasn't abandoned, it's a mistake by DPReview. See my comment below. I never bought into the FT system, as there was no real size advantage over existing DSLRs. My first MFT camera was the Panasonic GF1. I have stuck with Panasonic since, mainly for the quality of their video, which for me, was one of the main reasons to buy into MFT. I wanted a single camera that could shoot high quality stills AND high quality video. MFT and Panasonic delivered on that. At the time the Olympus E1 was announced, I was shooting with the Fuji S2 Pro frankencamera. On February 12, 2004, Kodak announced the SLRn, their second Nikon mount FF camera. I had one in my hands before the month was out. I shot with the SLRn until I retired it in 2010. By then I had bought a GF1 and had begun to explore MFT. Today I am all in with MFT, but still shoot Nikon FF (D800E) for my studio work. I use the Panasonic cameras in the studio too, for video, now all in 4K. However, the Panasonic cameras are my travel/party/fun time cameras. The Nikon never leaves the studio. Well, for me the Four Thirds size benefit was a deciding factor. Not so much because individual components were smaller, but because I could get the entire 24-400mm (eq.) focal range in just two high quality lenses, the 12-60mm and the 50-200mm, which I could carry (along with the E-510 body) in a small Domke shoulder bag. This wasn't possible with gear from any other brand. Exactly (@Danielvr): While there wasn't a significant size advantage for many Four Thirds components as such, when looking at an enthusiast-grade telephoto-centered kit, it was the whole package that did it, and the 50-200mm lens was an elementary item in it. Even more so if you add one or both of the teleconverters to the package, even if the EC-20 was a compromise with regard to both aperture and image quality. Actually, I always thought the 50-200 alone to be a good reason to opt for Four Thirds, and to be able to continue using it on the E-M1 when it finally came was my main reason not to jump ship and eventually do what most of the people I knew who'd been using Four Thirds DSLRs had already done long since, go to Nikon or Canon. It didn't really get smaller did it? Thankfully not across the line. But try comparing the smallest E-system DSLR (that E-420 you selected) to the smallest m43 mirrorless (instead of picking the largest). True, but conversely, people's hands are still the same size, sometimes bigger! flashcactus: Luckily, a camera can still have good ergonomics without being large. Panasonic's GM5 with an optional grip handles better than some much larger cameras and is no bigger than a pack of playing cards. You are remembering 2004 too well if you are still kvetching about how 4/3rds cameras didn't shrivel up into pocket sized power houses with the key interest of making FF zealots into laughing stocks with their monstrous systems. By now I just figured everyone had handled a mirrorless system long enough to realize how much smaller and credible mirrorless has become while all along increasing screen size, viewfinder size, processing power, IS capabilities, and video cooling hurdles. The comparison you make is like watching Alice in Wonderland and saying "See! I told you! That tiny door is actually really big if you drink from the right bottle." I'll up the ante further since I own both: E-5 vs. GM5. Fair enough, guys, and I completely agree. It's why I traded my Nikon F2 outfit for an OM-1, 2 and 4. Plus some beautiful lenses. So I stayed with small cameras and moved to the superb and underrated Pentax brand, MX-1 (small), LX (small) yet brilliant. A friend gave me an E-510 a while back, fun, but not really up to it nowadays though. Closes a chapter of my journey. E-510 was my choice on selecting a DSLR system. I was swayed by the IBIS (Oly's first such model), the size and control layout, Oly colors (most similar to the Kodak I was using) and the glorious lens collection. Luckily, as with others my lenses live on with the E-M1s and I'll continue to take advantage of their unique qualities, especially the jewel-like SHGs. Here's hoping Oly at least commits to keeping those alive for a good long while through continued service and support. I'd hate to see a lens like the 150 relegated to doorstop service. "Micro Four Thirds persisted with the Four Thirds type sensor but by abandoning the mirror box (and the telecentric design philosophy) was able to fully deliver on the size benefits that had originally been promised." Micro Four Thirds has not abandoned a telecentric lens design philosophy. All digital lenses are as necessarily telecentric as possible. "All digital lenses are as necessarily telecentric as possible." You do realise this sentence means nothing? Any proofs for your other claim? Like Olympus advertising the µ4/3 lenses as telecentric? The 'as' should come after 'necessarily' - I wrote it in a hurry. So the sentence should read: 'All digital lenses are necessarily as telecentric as possible.' No offence to you but I think it's obvious that that is what I intended to say. I don't have to prove that Olympus has abandoned 'telecentric design' because this is a fundamental of designing for a recording medium with a non-contiguous and angled array, that cannot change. I realised that you didn't type correctly. The problem: It means nothing even when "corrected". Your phrasing, thought to the end, implies that there is only one way of telecentricity, the "possible" one. That is not correct. If you look into scientific imaging and machine vision, we have lenses that offer extreme telecentricity, much more than any Olympus consumer lens. There is such a thing as a degree or a level of telecentricity. Basically, "as possible" in this context is just a qualifier that makes your whole statement meaningless. Manufacturers need to trade off the desire for telecentricity against a host of different requirements. The logic of your statement could be applied like this: "Any digital lens is necessarily as sharp as possible." BTW, there are reasons why you might want to add some degree of telecentricity to a lens, even if your imager is film, so your phrasing of "recording medium with a non-contiguous and angled array" is both ornate and misleading. I can only presume that English is your second language, in which case I would caution you against suggesting errors on the part of native speakers. 'As possible' in my sentence is readily understood in context as within the confines of cost, practicability and performance and is in no sense 'meaningless'. I can assure you that this is not a language issue on my part. I also didn't say that "as possible" is in itself meaningless (in fact I myself pointed out the constraints that you have now mentioned), but rather that this qualifier makes the combined statement meaningless. "necessarily as telecentric as possible "
Your statement is meaningless, or maybe you like "trivial" better? What you are basically saying is that the lens is "necessarily" as good a compromise as possible from a range of sharp, colour-neutral, flare-resistant, cheap, weatherproof, parfocal, compact aaaaand telecentric. Does that strike you as meaningful? Not me. Maybe it would be more constructive if we would simply agree that telecentricity is just one of the many important design considerations for digital lenses. I thought the title is referring to Micro 4/3 and my heart stopped beating for a moment. Discontinued, but not dead. All the old lenses work effortlessly with the new cameras. This is not so much the death of a mount and format; it is an orderly evolution. Being first to market with mirrorless+EVF proved a very sensible step for Olympus and Panasonic. I kept using mine with the E-M1 until it became defective some time ago, but I never really liked its image quality too much after I had changed to the 16 MP sensor. It's true, though, that I miss a Micro Four Thirds alternative (which could be much smaller and lighter to boot), and until I find one I'm using a rather cheap Minolta-SR-mount Tokina 17mm f/3.5 plus Speed Booster (making a 12mm f/2.4) these days if I really need something below 14mm and panorama technique cannot be applied. Alas another dead camera format. No, the format is very much alive and doing well. Just buy more and it will stay alive! That's the whole point of every consumer good these days. Get someone hooked and they'll throw money at you until they die trying to stay the course. I'm not knocking Olympus. Every manufacturer has done the same from one extent to another. I simply don't understand how the latest and greatest always seems to render the previous version useless to consumers? I come from a background in heavy equipment and the goal was always to run to destruction and if the production goals could be maintained by rebuilding then the machine was rebuilt. Consumers would rather throw away and move on. That serves only the manufacturers. production of Olympus's Zuiko Digital line of Four Thirds lenses has been discontinued. That's a camera format that has died. Out of production, no new products. He's quite right, though. How is that trolling? For anyone with an historical inclination and 5 minutes to waste (remember, you'll never get it back), I posted, on this very web site, a not-terribly-serious report from the gala New York City launch party for the first 4/3rds camera, the E-1, way back in 2003. I had forgotten some of the things Olympus was emphasizing back then. It makes for maybe a bit of a poignant picture, in some ways, viewed from the present. Well, Katya is correct that DE & AT are not the same. There were no pictures of Katya and that was surely an opportunity missed. Eamon--I remember that launch at Bryant Park very well. Until a couple of years ago, I still had that E-1 jacket they included in the gift bags. Interesting to read your post! Thanks for sharing the link. I still have an E-1 monogrammed photo vest that will never part ways with me. I even have a couple E-1 'baseball' caps too. Of course I still have my E-300 w/grip and several 4/3's lenses that I refuse to part with too. Hey Theano! Yes, I remember that you, me, AB, and a notorious Colorado maverick who shall remain nameless had a drink afterwards at a dive bar called Jimmy's Corner on W. 44th St. Somehow, I did not come away with an E-1 jacket, however, which disappoints me. Yes, I was clearly the lame dweeb at that event -- no jacket, no pictures of Katya. However, my now-friend Dave Etchells (we didn't know each other then), did capture an image of the elusive Katya. I bet he got a jacket, too. She does look tall and I wonder what she is up to ~14 yrs later.. we already know how 4/3 turned out. Yep, Samsung NX alive and well too. Lenses and cameras don't stop working just because the brand or format is dead. MFT the first mirorless camera system? Was it not preceded by the Leica M8? I'm pretty sure no one had ever called rangefinders 'mirrorless' prior to the invention of the mirrorless camera as we now recognise it. We could probably have endless fun (by which I probably mean 'no fun at all') debating whether a camera reflective prisms in their rangefinders are 'mirrorless' or not, but since the term was coined around the time of the announcement of the Micro Four Thirds system, it's reasonable to assume they're exclude by use, if not definition. When the rubble clears and the mutants crawl back to the surface and electric power for things like computers is again discovered, it will be Barney's comment that precipitates WWIV and the end of the mutant race. In the subsequent re-emergence of post-human-post-mutant life, for the seals's and otters's sakes, let's hope that electricity isn't again discovered.